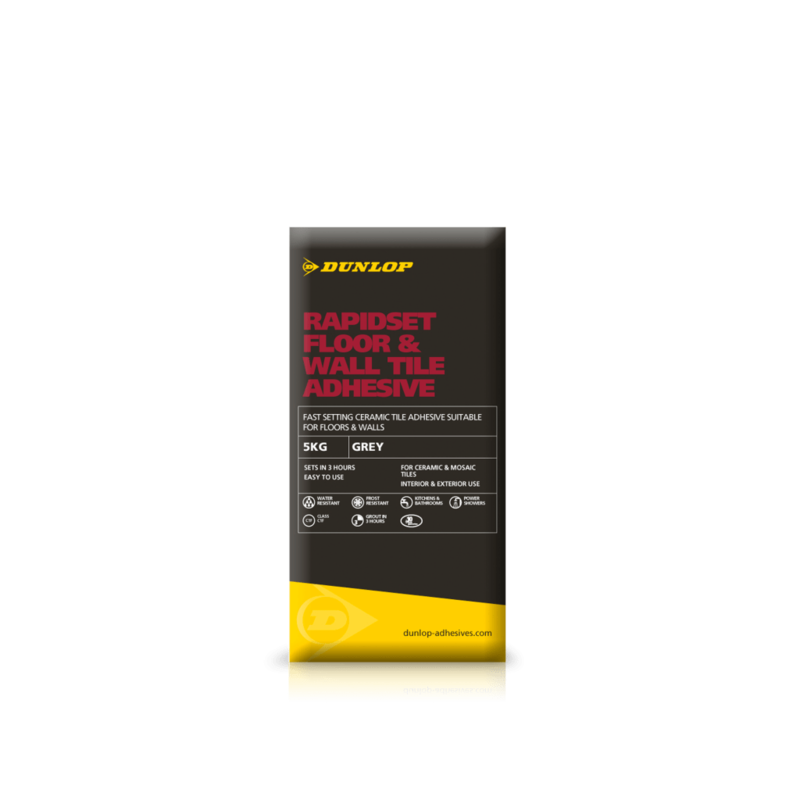 DUNLOP RAPIDSET FLOOR & WALL TILE ADHESIVE is a water-resistant, fast-setting floor & wall tile adhesive, suitable for thin and thick-bed fixing in interiors and exteriors. Suitable for fixing ceramic floor and wall tiles, vitrified tiles and mosaics, quarry tiles, brick slips and stone claddings, tiles can be grouted in only 3 hours. Frost and water-resistant, it can be used for showers or swimming pools. This product is not suitable for fully vitrified and porcelain tiles unless a flexible additive is used such as DUNLOP FLEXIBLE ADDITIVE.